“Dreams, as we all know, are very curious things: certain incidents in them are presented with quite uncanny vividness, each detail executed with the finishing touch of a jeweller, while others you leap across as though entirely unaware of, for instance, space and time. Dreams seem to be induced not by reason but by desire, not by the head but by the heart, and yet what clever tricks my reason has sometimes played on me in dreams!” says Fyodor Dostoevsky in his anti-hero novella “Notes from Underground” from 1864. Also, the three Hamburg based art lovers of the band Giraffe like to play on their dreams. Since 2017 the trio released their deeply collective reveries on one album called “June” and one EP called “Climate”. Both are featuring brief and epic sensitive shifting conversations between Charly Schöppner on percussion, Sascha Demand on electric guitar and Jürgen Hall on Synthesizers. “We compose and produce everything together. The ideas of each single member become better through the influences of the others.” they reveal about their meandering creative activity. The result is a sublime tension of itself: a psychoacoustic distillation of improvisation, composition and experiment in which clattering percussion, synthesized transcendence and dreamily electric guitar serialism transform into radical poetic journey music. 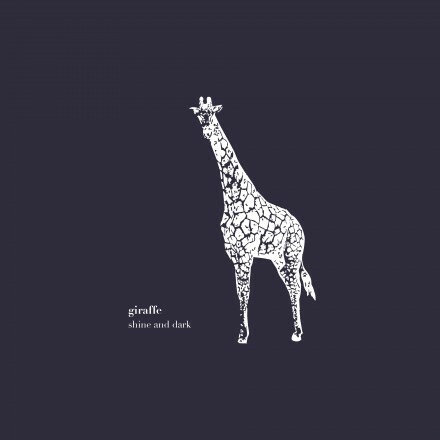 For their new album “Shine & Dark” Giraffe built their music around acoustic drums, frame drums and electric percussions, that evoke spiritual jazz emotions and percussive ethnic vibes while dark synth layers and mesmerizing guitar microtonality dances around the rhythmic tension. Suspenseful wondrous story-telling, that opens a gate to an elaborated executed, multi-layered musical paradise, that is entirely induced by desire.